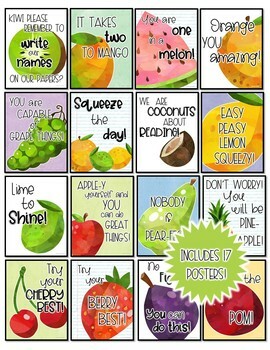 Delight your students and brighten your classroom with these punny (pun intended) fruit themed decor signs. 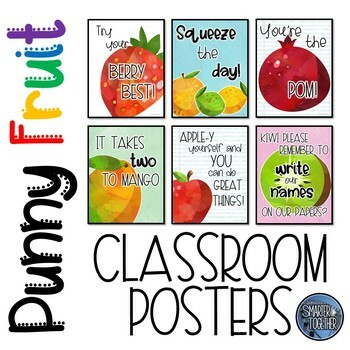 Each poster brings a positive message to your students in a unique way. This set includes 17 unique posters. 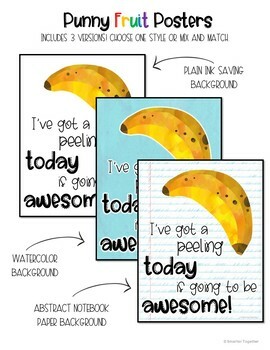 Each colorful poster has three background design options (ink saving white, watercolor, and abstract notebook paper). 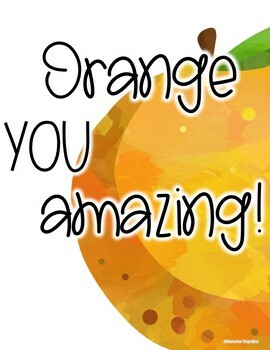 Download the preview to see all of the included posters.